This introductory chapter discusses the rapid development of nanotechnology for the application of visible light-induced photocatalysis, which is driven by the unique material properties arising from the nanoscale dimensions. It includes the description of the carbon-based nanomaterials developed first in the early development such as fullerene, carbon nanotube, and graphene . Conductive polymers were then described as photocatalysts with different dimensional nanostructures. Moreover, semiconductors were presented as potential materials for photocatalysis. For the practical visible light applications, photocatalysts need to be modified either by narrowing the band gap or by inhibiting the recombination of charge carriers via the formation of heterojunction nanocomposites. 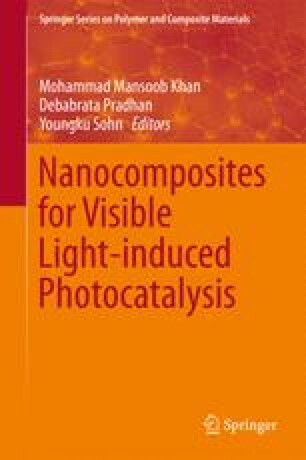 As the focus of this book, nanocomposites have been reported as a promising strategy for high-activity visible light-driven photocatalysis. This chapter is also complemented with some examples of industrial applications of photocatalysis for practical use.